Uggghhhh you guys. You guuuyyyysssss. 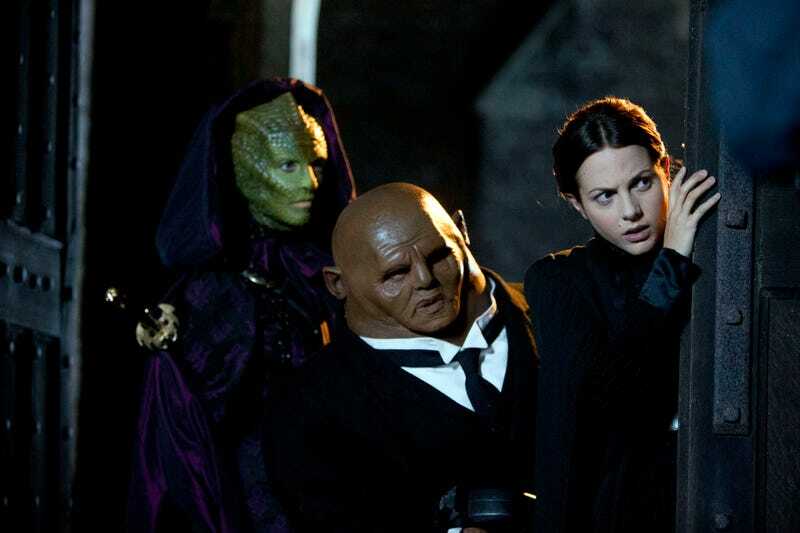 Look, I like the idea of these three, but Moffat hasn't given me any reason to care. It's like they were just randomly stuck in and suddenly they've always been the Doctor's friends and rambled around the universe with him and we're just supposed to go with it? It feels, quite frankly, like a deliberate attempt to pitch a spin-off show, but where Davies made spin-offs like Torchwood or the Sarah Jane Adventures that were grounded in some kind of history, this feels — again — like it's coming from nowhere. I don't hate these three, but Moffat's had two years to make them work and he just hasn't. I'd like Capaldi to be able to start fresh with new stories and at least one new companion and not be bogged down in the Moffat-shaped mess that this show became for Matt Smith. But maybe I'm just being cranky. Thoughts? Feelings?